The Canadian singer is currently in the middle of his Purpose world tour, but on Monday (16May16), he took to Twitter to explain why no venues had been booked in the South American country. 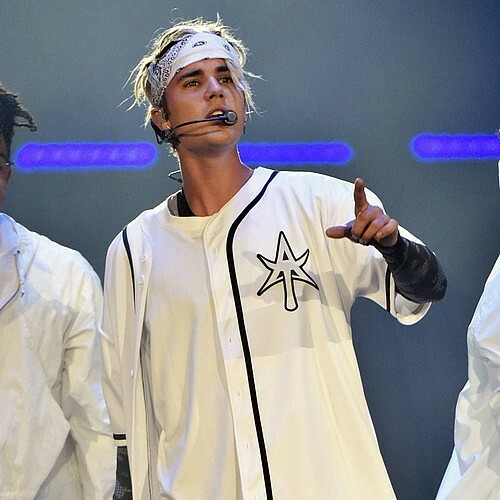 "Argentinian beliebers I would like nothing more than to bring the #purposetour there but the Argentinian government won't allow it. So sorry," he wrote. "If things were to change I would love to come but at this time I cannot. For everyone else in South America I look forward to seeing you". The ban has clearly been as much of a disappointment to the 22-year-old as his adoring fans, as he continued to post on the social media site. "Argentina I do love you," he added. "It is in fact one of my favorite places to tour. I wish this was not the case. My lawyers say it is what it is." Justin then posted a clip from the video for his hit single, ironically called Sorry, and captioned it: "Sorry Argentina. I love you." While Justin didn't explain the reason for the ban, a number of media outlets have suggested the decision may link back to a previous performance the singer put on in Buenos Aires in 2013, during which he kicked the national flag off the stage. Government officials accused the star of desecrating the flag, and during the same visit, a warrant for Justin's arrest was issued after a photographer claimed he was attacked by the pop star's bodyguards outside a nightclub. The arrest warrant was revoked but the charges were not officially dismissed, according to The Associated Press.